Be it Amazon, Google or Facebook; all the top companies in the world are technology companies. And it’s going to become pervasive as we age. So, if you are a forward-looking parent or a software developer mom, now is the time to get your kids into coding. It not only introduces them to the world of programming but also logic and creative thinking. 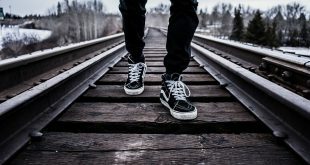 I have sorted through a bunch of apps and made a list of best coding apps for Android and iPad which teaches coding through games and puzzles. Let’s check them out. 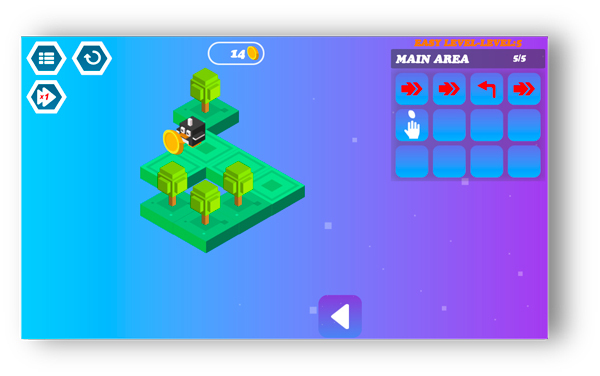 Teach your kid programming fundamentals with small interactive games. This app is designed for young kids which teaches them about simple sequences, loops, functions, debugging, arrays, and coordinates. Everything is animated in 2d layout with bright colors. This helps kids ease into the game without letting them know they’re learning valuable skills with this app. You can choose a category, let’s say sequences and choose a game of your choice. Yes, there are multiple games in one category to keep things interesting. I decided to play connect the dots, you enter the moves and press go, if your sequence is correct you move up to the next level. All the puzzles are built around this interface teaching you fundamentals in a fun way. This app is best for kids who are still in their primary school and learning about basic maths as it is both fun and educational. Although some of these games are locked in the free version which you can unlock by purchasing the subscription for the game at $30/year. 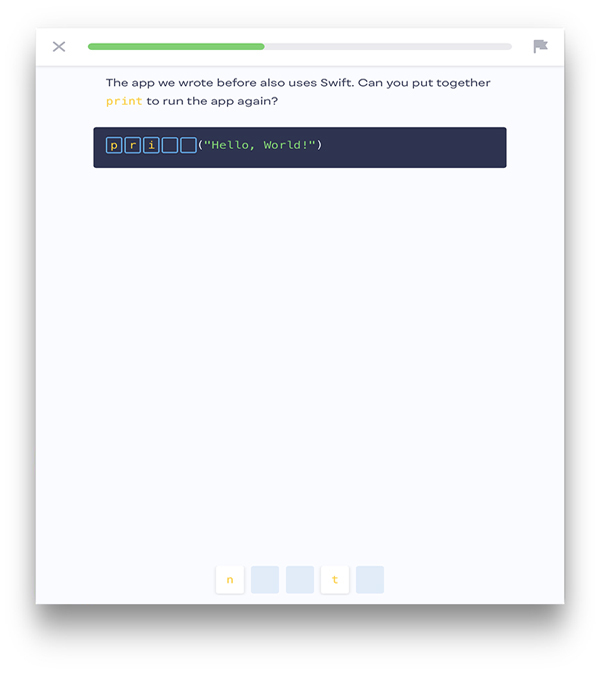 When you first open Grasshopper, it asks you – if it’s your first time coding or if you have coded before. If you choose ‘first time’, the app will guide you through a series of slides explaining what coding is. Once you are done with the slides, it put you through a series of simple quizzes to make sure you understand what you read in the previous slides. If you pass this first round of quizzes, you can move on to the next course, which is a series of coding-related puzzles. And this where it gets interesting. These coding puzzles explain various terminologies like variables, strings, loops, arrays, conditionals, operators, functions, and objects. After explaining each terminology, the app makes you go through a mandatory quiz where you put your code, based on learnings. This approach makes sure, you understand the basics before you move on to advance test. In the final stage of learning, the app takes you through series of ‘Animations’, which helps you learn drawing shapes using the popular D3 library. 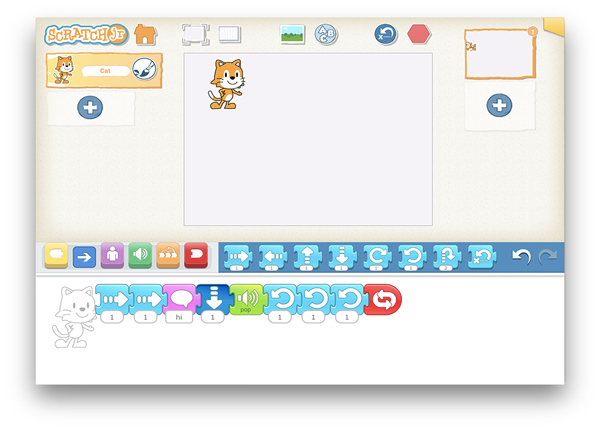 Developed at the MIT, Scratch Jr is a kids game designed to teach fundamentals of programming. The first page has two section – the home page and the help section. The help section gives you a brief introduction to how the app works. The home screen stores all the projects you make on the app. 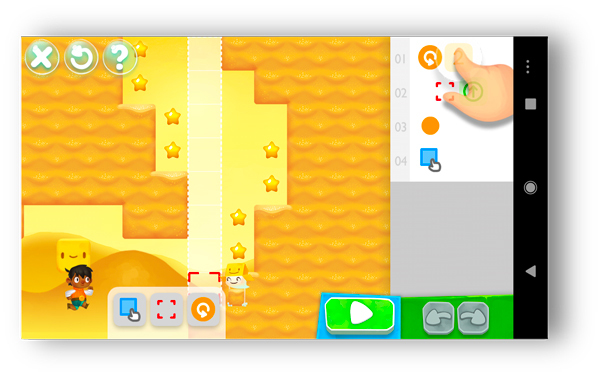 Scratch Jr has a simple layout where you program your character to move in a background. For example, kids are given puzzles like feed the cat, to do so, they will have to arrange the blocks at the bottom half in such a sequence that will allow the cat to move forward three steps and then take a right turn. There is an option to choose a time delay function, a loop function, speed function and many more. You can add many characters and background to narrative and make an interactive storyline. The only thing necessary to do this is a creative brain and the modules take care of everything else. You can also share your project through Airdrop to any nearby Apple device or Email. The only thing missing from this app is that you can’t import your own characters but instead you have to draw everything from scratch. See what I did there? Spritebox is an adventure game where your avatar has to go through a maze and solve hurdles to get ahead. Meanwhile, you collect coins while looking for a way out. 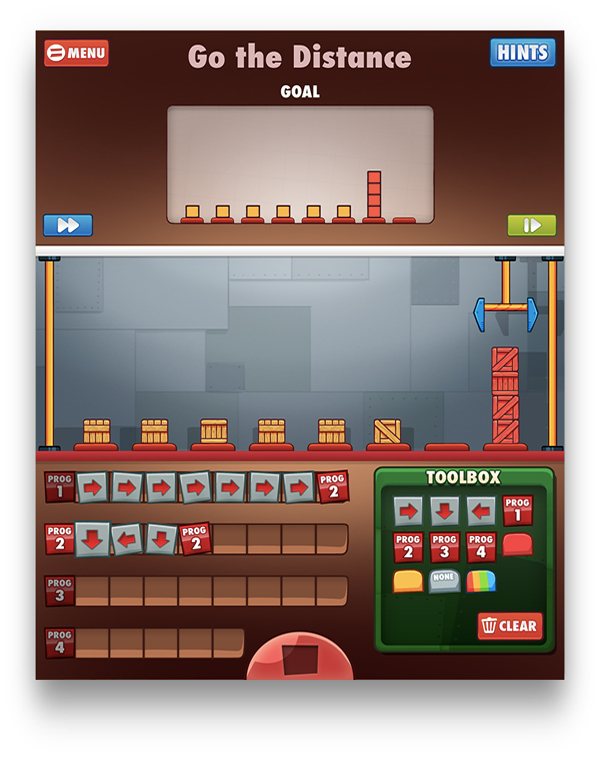 If you want your kid to have fun while learning about programming, this is the app you need. When you first open the app and press the play button, it starts as any classic arcade game and you start in the world accompanied by a Fairy that helps you pave the path during your adventure. The hurdles are actually puzzles which can be solved with sequencing and looping fundamentals. You have to figure out the path using the tools and guide the Fairy to move around and do the task that you just programmed. 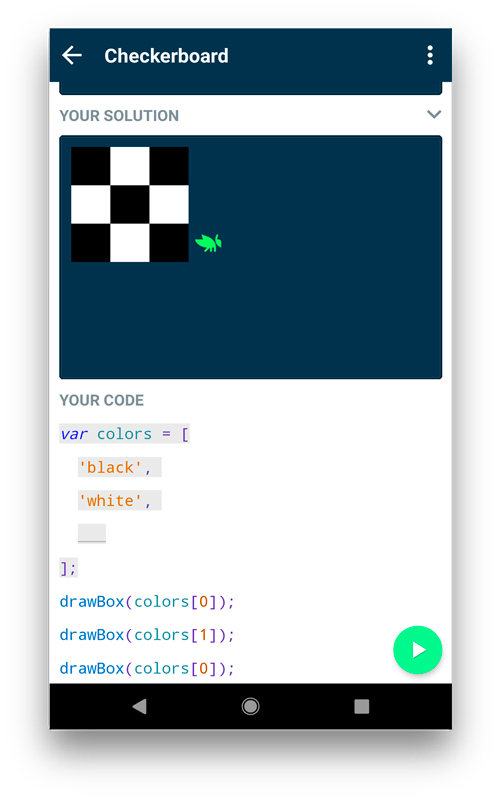 In my opinion, Spritebox is good for kids who have no idea about coding and you wish to install the idea of how fun coding can be at an early age. Cargo-bot takes the innovative design on cargo crane style layout to teach programming fundamentals. The app comes with a crane based game where the objective is to arrange the different colored boxes on the pedestal using different moves such as – up, down, left, right, pick up, drop, etc. This app aims to stimulate your problem-solving skills with simple puzzles where you have to sort the boxes, move them to certain positions according to its color, etc. The idea is to find the simplest solution using the fundamentals of programming such as sorting, looping, if-else statements. If you get stuck during a level you can look for hints which is better because you still have to program the crane. Cargo-bot implements the fundamentals in an interesting concept which is actually used in docks and warehouses. Overall the game is pretty challenging and it requires a lot of brainstorming to figure out some levels. Algorithm City is a 3D 8-bit style game which helps kids learn basic programming structure. The game has a minimalistic appeal like monument valley. It has a tutorial to give you a basic idea of how to play the game. The layout is a 3d space which gives you a third person view of the game. Your avatar can be facing any direction and you have to take it to the objective (the gold coin) using the forward, left, right and jump commands. It becomes challenging because you have to keep in mind that the left and right direction corresponds to the avatar, not you. I was confused why my avatar kept moving to the left when I used the right button in the program. These tiny details are intentionally kept in the game to stimulate creative thinking. The app is absolutely fantastic and I had a blast while testing it. It really helps you to optimize your approach to figure out the solution. This app is recommended for kids to develop their problem-solving skills. M1M0 has an interesting choice of courses on its app and offers real-life solutions. Instead of offering to teach Swift directly, M1M0 has a course that is a bundle to learn to build iOS apps, which makes sense if you’re learning to code there should be a definitive purpose for it. You begin by selecting a course of your choice, and with each section, there are multiple chapters which you have to finish to unlock the subsequent chapter. For example, I studied swift first then its core functions and then advanced functions like classes, structures etc. After every course, you get a personalized certificate which shows the achievement in the topic. 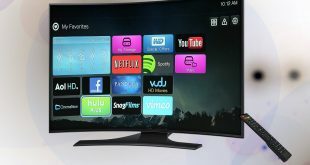 You can learn from a list of courses available like – become a hacker, make a game, build an app, etc. You can take challenges in the app and solve the quiz based on your level in the course which is a great exercise tool. M1M0 is an ideal app for people who are new to the programming world but have the enthusiasm to learn a new skill. This comes in handy for students and adults alike because of its modular structure. The full version costs you $30/ year which gives you unlimited access to the courses. 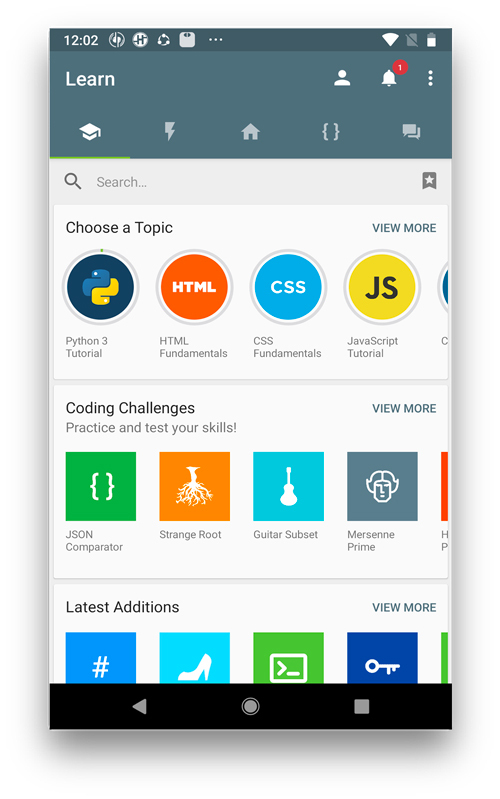 SoloLearn is a free app designed for learning to code in various Languages. Not only you can learn about a topic but you can take code challenges against real opponents and test your skills. It has an inbuilt code editor for most language which lets you run the codes on your phone. And the forum style community discussion boards are very helpful if you want a solution to the problems. With SoloLearn you can build amazing projects while learning code and discussing with the professionals on the forums. This app is recommended for students looking to expand their skill set. 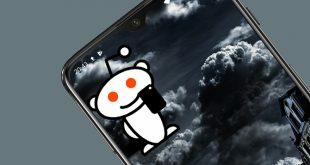 It is a free app and all the courses are free to learn this makes it a popular choice for people looking to share ideas and suggestions with each other while building cool stuff. Which are the best coding apps for kids? 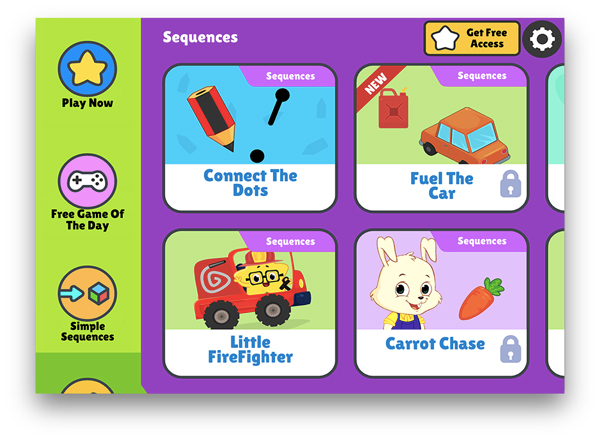 Spritebox, Cargobot, and Code for Kids are good to learn the fundamentals like sequence and looping. Scratch Jr lets you animate your favorite characters, SoloLearn, Mimi, Grasshopper are good if you want to learn real coding. Tell us which does your kid likes the best?